As I mentioned earlier, I spent a good amount of my morning yesterday organizing baby's drawers and getting all his little clothes arranged and washed. I went through a box of heirlooms my mother gave me. 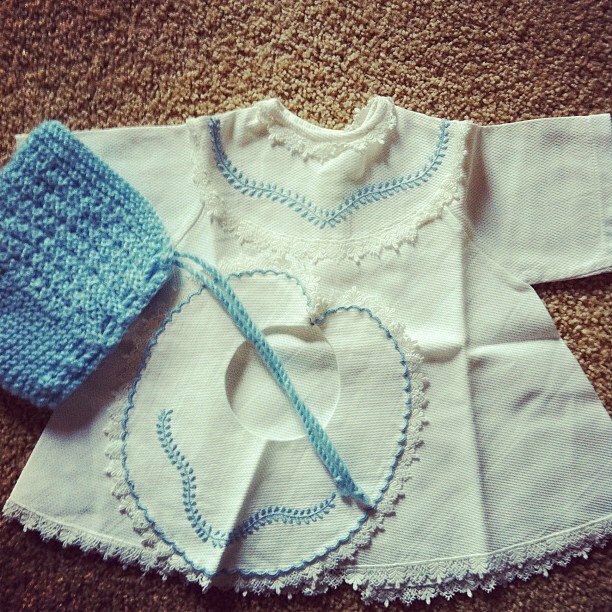 They are old baby clothes from the 50's and some pieces that were me and my sibling's when we were babies. They are so intricate and delicate. Most of the pieces were embroidered kimonos, and others were delicate Italian baptismal style gowns with lacy bibs. 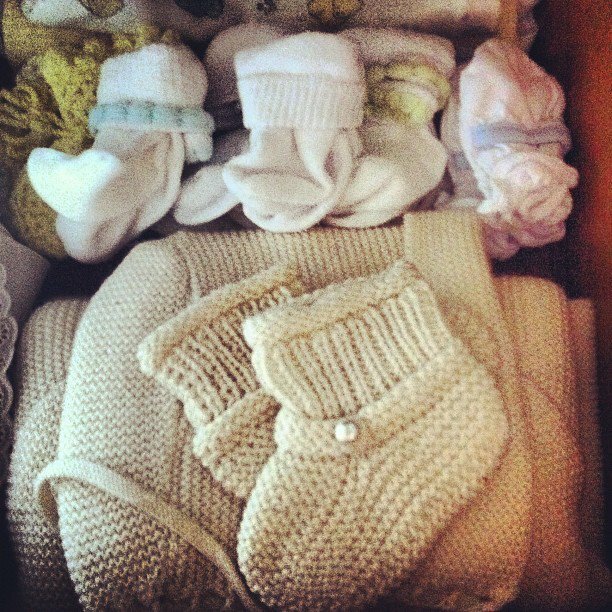 My mother knit a bunch of booties and hats to go with it all. When we were little kids, my mother bought most of our clothes in Europe, and let me tell you, American baby clothes don't come close in intricacy to these crazy pieces. Some are about as practical as a pair of stilettos in a snow storm. But they sure are beautiful. I feel like I need to be super careful with these gems, as not to tear them or spoil their gorgeousness.